President and CEO J.T. Young joined MLGW in 2018 and is the 11th President to lead the utility. Young’s diverse utility experience includes engineering, customer service, marketing, sales, risk management, information technology, finance and supply chain management. 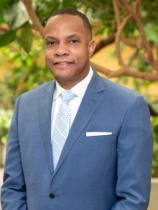 Immediately prior to assuming his responsibilities at MLGW, he served as Gulf Power Company’s Customer Service and Marketing General Manager. Young holds a bachelor’s degree in electrical engineering from the University of Florida, an MBA from the University of West Florida and he is a graduate of Harvard Business School’s General Management Program.